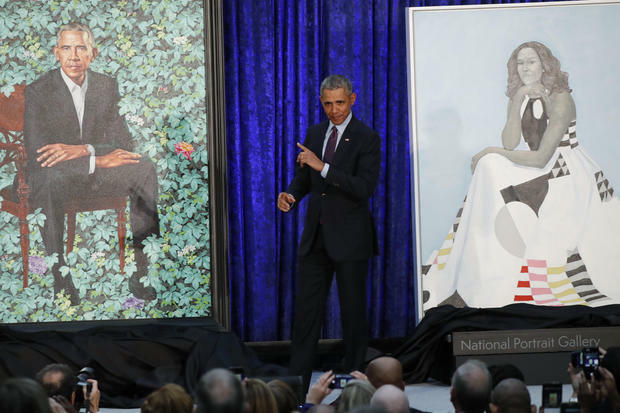 The pictures for President Barack Obama and previous First Lady Michelle Obama have been divulged at the National Portrait Gallery in Washington, D.C. on Monday. The representations will hang in the Smithsonian-worked historical center where a total gathering of past presidential pictures additionally hangs. Barack Obama's picture was painted by Kehinde Wiley — a craftsman best known for his dynamic, substantial scale canvases of African-Americans. The president's picture included a situated Obama with arms crossed before lavish greenery. "Take a gander at that, I look really sharp," the president commented after taking a gander at the work of art. "I attempted to arrange less silver hair," said the president. He included, "I endeavored to arrange littler ears, struck out on that also." The work of art, which includes a set of ivy, incorporates a few blooms from Illinois, Kenya, and Hawaii which Wiley says graphs Obama's "way on Earth through those plants that weave their way to the closer view." 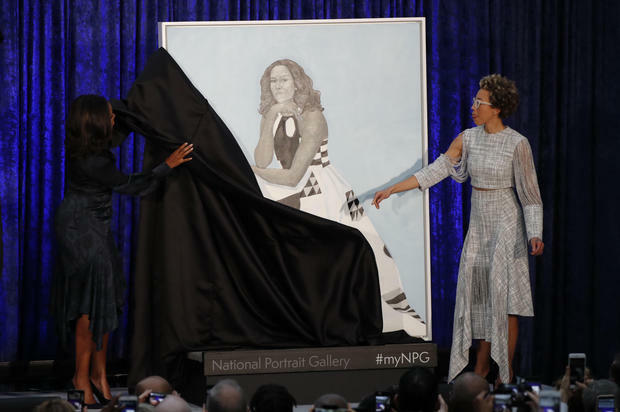 For Michelle Obama's representation, the exhibition appointed Baltimore-based craftsman Amy Sherald, first-prize victor of the Portrait Gallery's 2016 Outwin Boochever Portrait Competition. The previous first woman's representation delineates a situated Obama in a profoundly different outfit, delicate pastels are included all through. Mrs. Obama said, "I am lowered, I am regarded, I am glad however above all I am so unbelievably appreciative to every one of the general population who preceded me in this voyage." Mr. Obama kidded in expressing gratitude toward Sherald for "so staggeringly catching the effortlessness and excellence and knowledge and appeal and hotness of the lady I adore." She likewise recognized the effect her picture would have on youthful African American youngsters who come to visit the depiction. "I know the sort of effect that will have on their lives since I was one of those young ladies," she said.